Taking a ride in a luxury limousine is a beloved, well-established rite of passage in our society. Young graduates from all walks of life enjoy taking limousines to graduation ceremonies and post-graduation festivities. Besides affording a fun evening, hiring a limousine is a uniquely safe choice for event transportation. When you book limo service for young people you care about, you can be sure your celebrants will go to their various destinations together. Additionally, limo passengers can rely on their chauffeurs to drive safely and responsibly. Simply knowing that a safe driver is available at all times can give you great peace of mind on graduation night. Here at Legacy Limousine Service, we’re quite proud of what we have to offer. Though we are satisfied with the vehicle fleet we’ve carefully assembled, the most important thing we’ve done is put together a first-rate ground transportation team. To ensure that all of our clients enjoy safe and comfortable rides, we only hire excellent candidates who can pass drug tests and background screening. With one of these polite professionals in your corner, you won’t have to waste your time navigating through traffic and searching for a parking spot. Our well-trained chauffeurs do all of the work so clients can more fully enjoy momentous occasions. We train each chauffeur to be flexible and responsive to your needs. For example, a passenger could ask a chauffeur to stop at Lucky Bamboo, one of the most popular takeout restaurants for local students. Mindful of your time, our cordial chauffeurs typically arrive exactly on time. 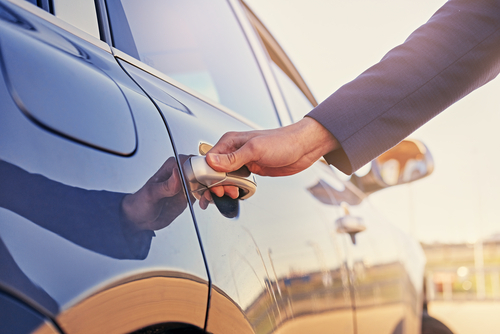 Wherever you need to go, our chauffeur can get you to your destination safely and promptly. These professionals excel in the midst of inconstant weather, road construction or any other complicating conditions. Although our chauffeurs know local streets well, we provide them with GPS for extra surety. Though we are naturally known for our limousines, we provide chauffered rides in a variety of luxurious vehicles. You get the same top-shelf experience if you choose one of our posh SUVs or full-sized sedans. Our executive sedans are as sleek and roomy as you could ever want. All of our vehicles are upscale, newer models that are clean and properly maintained. Our Hummer limos and Escalade limos provide all of the traditional limo amenities in fun, contemporary vehicles. For larger groups, our party buses combine roominess with rich, limousine-style decor. When you’re looking to book a Modesto CA limo package that balances quality and cost, Legacy Limo Service is probably your best bet. Our services are ideal for transporting graduates of Fred C. Beyer high school or any other of the fine institutions in the Modesto region. Though we never compromise when it comes to quality of services offered, we will always keep our services competitively priced. We trust that our commitment to value will keep customers loyal and prone to use our services on special occasions. If you’re ready to experience the very best this industry has to offer, contact us at Legacy Limo Service today.